During our Nexus 6 review, we noted that at times the device seemed to suffer from weird performance issues or hiccups that were unexpected, especially knowing that the device runs one of the newest and most powerful mobile chipsets on the planet, has 3GB RAM, and was optimized specifically by Google for Android 5.0 “Lollipop.” Some of our readers, along with others at reddit and XDA, tossed around the idea that maybe the performance hit was due to the fact that devices shipping with Android 5.0 do so with encryption enabled. That encryption could potentially put a damper on read/write disks speeds, which would cause performance hiccups. The folks over at AnandTech had similar thoughts, so they reached out to Motorola in hopes of testing a Nexus 6 that didn’t have encryption enabled. With an unencrypted Nexus 6 in hand they found results that seem to confirm our fears – the default encryption in the Nexus 6 does indeed slow down read/write disks speeds, which is unfortunate, because you can’t turn it off. During their tests with a Nexus 6 running without encryption enabled and another with it enabled (as it comes out of the box), they saw as much as a 63% decline in read performance and a 50% drop in write performance in the device with encryption enabled. In case those numbers didn’t register yet, I’ll help explain it. THAT’S A HUGE DROP. So, what is the solution? Well, there really isn’t one at this time, unless you are willing to do some tinkering with a boot.img over at XDA that disables the forced encryption. 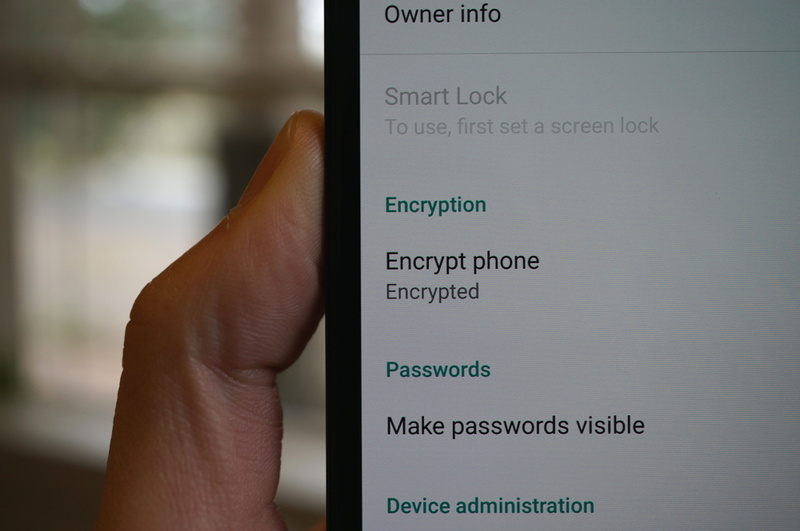 If you buy a Nexus 6 or Nexus 9, Google has it set to encrypt the device at first boot. AnandTech opines that this is an overreaction to the idea that Android isn’t secure, so Google is taking security to an extreme without thinking about users. Encryption on an Android device really only works if a user has enabled security at the lock screen. If you happen to not use security on your lock screen, then the encryption is pointless and causes you a performance hit that you didn’t ask for. One would hope that Google will change their minds on the forced encryption, but you just never know. If anything, we would love to see them give users the option to unencrypt after the fact. At least give us an option.